Great Britain not only invented the main-line railway but has also led the way in it's preservation - not just locomotves and carriages but also the buildings and structures that bear witness to the confidence of railway developers, architects and engineers. 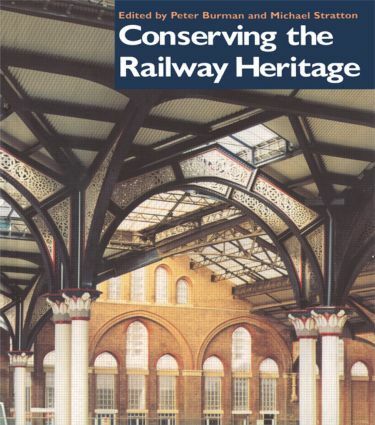 This book defines the nature of the railway heritage - from signalboxes, viaducts, tunnels and locomotive depots - and then discusses priorities and the best practice for it's conservation. The subject is a strongly topical one due to current concern over privatization, the effects of planned high-speed rail links and lively debates concerning the role of the enthusiast in railway preservation.